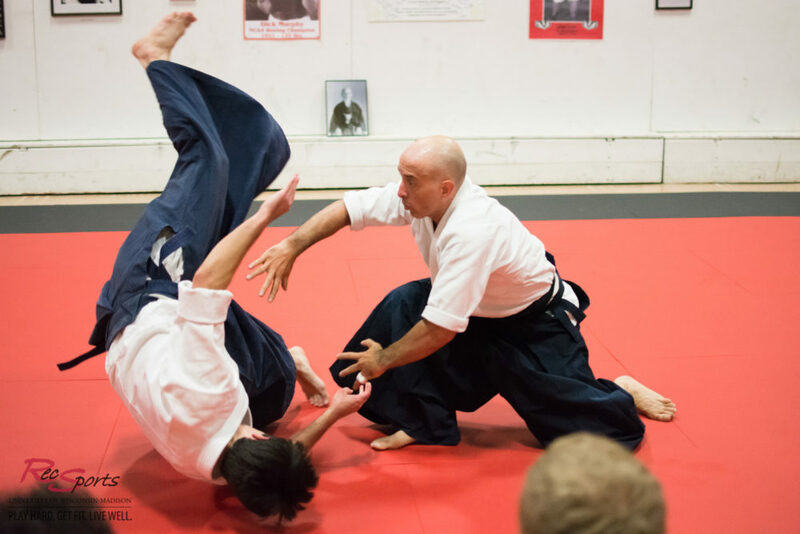 In Aikido, aggressive motions are converted into circular movements that render attackers helpless. The Aikidoist is trained not to cripple, but to apply various wrist and joint locks, pins, and unbalancing throws to neutralize aggressors without serious injury to either individual. All are welcome. Aikido can be practiced by both men and women, regardless of age or size. The techniques are based on movement rather than strength, and there is no competition. Aikido is a practical self-defense and helps to develop balance, coordination, concentration, and conditioning. In Jujitsu, (formerly called the Budo club and Judo Club) we focus on instruction in Waboku Jujitsu and related martial arts. Our club’s techniques focus on striking, blocking, ground fighting, Judo throws, as well as joint manipulation techniques and self defense. The techniques in Waboku Jujitsu use the opponents own movements in order to successfully defend oneself, making Waboku Jujitsu techniques not depended upon strength, allowing it to be practiced by all regardless of age or size.